Lorde (born Ella Marija Lani Yelich-O'Connor 07.11.96) Lorde is a New Zealand singer/songwriter best known for her 2013 debut single, 'Royals'. Net Worth: In 2013, Celebrity Net Worth stated that Lorde had a net worth of 2 million USD. Childhood: Lorde was born in Takapuna, New Zealand, to Vic O'Connor and Sonja Yelich. She was raised in the suburb of Devonport, along with her two sisters and brother. She attended a drama group from the age of five, which inspired a love of acting and singing, and later studied at Belmont Intermediate School. In 2009, she appeared on the New Zealand radio show, 'Jim Mora's Afternoons', along with her band mate, Louis McDonald and the two performed to cover songs. When Lorde won the school talent contest in that same year, McDonald's father sent a recording of Lorde to Universal Music Group, and she was soon signed to the record label. Career: Lorde worked with songwriter Joel Little through 2011 to record five tracks for The Love Club EP, which Lorde released as a free download via Soundcloud. The EP was downloaded 60,000 times, so Universal Music Group decided to release it commercially, whereupon it peaked at number two on the New Zealand and Australia record charts. In June, 2013, Lorde released her debut single, 'Royals', originally the second track on the EP. The single stayed at the top of the Billboard Hot 100 list for nine weeks. Lorde, therefore, became the youngest artist to have a number one single in the US. She then released her debut studio album, 'Pure Heroine', in September 2013, which peaked at number three on Billboard's 200 list, as well as number one on charts for Canada, Ireland, Norway and the United Kingdom. In November, 2013, Sony Music Publishing offered Lorde a publishing deal that allows them to use her songs recorded for Universal Music Group. This led to her cover of Tears for Fears' song, 'Everybody Wants To Rule The World' being used in the soundtrack for 'The Hunger Games: Catching Fire'. 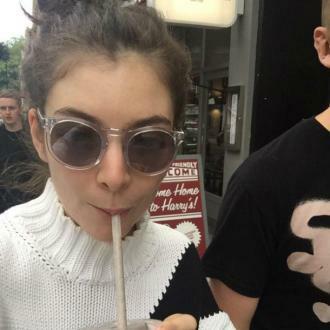 In December, Lorde began working on the material for her second album. Personal Life: Lorde chose her stage name, due to a fascination with "royals and aristocracy", and decided to add an 'e' to the title 'Lord', in order to make the name sound more feminine. She is a staunch feminist, and has spoken out against the exploitive costumes of female performers, as well as people like Miley Cyrus and Rihanna for their fanning of these stereotypes. She claims that the Kids See Ghosts duo used the same Es Devlin 'floating perspex cage' idea that she used on her Melodrama world tour last year. Lorde has hit out at Kanye West and Kid Cudi, accusing the rappers of stealing her idea of a ‘floating’ Perspex cage for their stage design. The two rappers, who collaborated earlier in 2018 on an album entitled Kids See Ghosts, performed live together for the first time over the weekend at the Camp Flog Gnaw festival in Los Angeles. It saw them both suspended in a Perspex box above the stage – something very similar to the technology utilised by Lorde during her Melodrama world tour last year. “I’m proud of the work I do, and it’s flattering when other artists feel inspired by it, to the extent that they choose to try it on themselves,” she wrote in an Instagram story, showing an image of her tour with images of West and Kid Cudi’s performance. Using a controversial anti-boycott law, three Israeli teenagers who bought tickets for Lorde's cancelled Tel Aviv show in June 2018 won a lawsuit against the New Zealand-based activists who urged the star to pull out. A court in Israel has ordered the two New Zealand activists who published a letter urging pop star Lorde to cancel a concert in Tel Aviv earlier this year to pay damages for harming the “artistic welfare” of three Israeli artists. The Jerusalem Post on Thursday (October 11th) reported that Judge Mirit Fohrer ruled Justine Sachs and Nadia Abu-Shanab of New Zealand must pay damages to the tune of NZ$18,000 to Israeli teenagers Shoshana Steinbach, Ayelet Wertzel and Ahuva Frogel for writing a letter to urging Lorde to cancel her concert in Tel Aviv in December 2017. 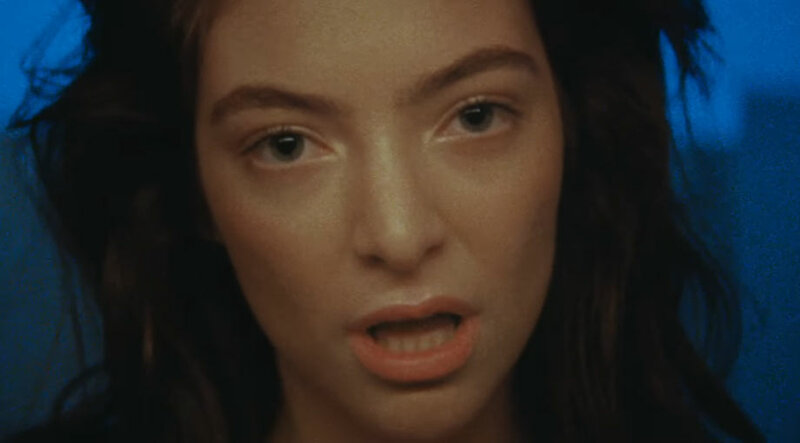 The social media pressure sparked by the letter caused the New Zealand-born pop star Lorde to cancel her June 2018 show, on the world tour for her most recent album Melodrama. Lorde had posted an image of a bathtub with Whitney Houston lyrics earlier this week, apparently not making the obvious connection. Pop star Lorde has been forced to apologise after sparking outrage on social media when she posted what she called an “insensitive” reference to the late singer Whitney Houston. The 21 year old New Zealand-born hitmaker shared a photo on Instagram of a bathtub filled with water, captioned with the words “and iiii will always love you”. Oops! Legendary soul and R&B singer Whitney Houston passed away in 2012 at the age of 48, when she accidentally drowned in a bathtub in a hotel in Beverly Hills, California. Houston’s daughter, Bobbi Kristina Brown, died three years later in 2015 in eerily similar circumstances. She performed an a cappella rendition in Chicago. If you ever needed proof that Lorde can sing almost anything, her cover of Kanye West's 'Love Lockdown' during her Chicago show is pretty much that. She sang a raw a cappella rendition of the 2008 hit on stage and fans are absolutely in love with it. The 21-year-old New Zealander's cover of the track - which featured on Kanye West's fourth album '808s & Heartbreak' - was so good, that now we're left wondering whether it beat Glass Animals' version of the track from their 2014 'Pools' EP. She certainly comes close. It had been widely reported earlier this week that the two New Zealand-based activists who called on Lorde to cancel her Israel gig were being sued by "would-be concertgoers". The lawsuit allegedly brought against two New Zealand-based activists after they penned an opinion piece calling on pop star Lorde to cancel a concert in Israel is apparently not real – according to the would-be defendants. The article’s authors Nadia Abu-Shanab and Justine Sachs, are widely reported to have been sued this week under an Israeli law that allows claimants to file civil lawsuits against anyone calling for a boycott of Israel, if they know it could reasonably have triggered a boycott as a result of their action. As such, the supposed lawsuit seeks $13,000 in damages by way of “moral and emotional injury” for three people who had been scheduled to attend the gig before it was cancelled, according to the Associated Press. Lorde is believed to be considering cancelling a concert in Israel. The 21-year-old singer - whose full name is Ella Marija Lani Yelich-O'Connor - is considering ''all options'' about performing in an upcoming gig in Tel Aviv, after she received criticism from her fans who asked her to cancel the gig as a sign of protest against the country's occupation of Palestine. Lorde has surprised fans by hiding hiding secret packages including free tickets and more during her homecoming tour in New Zealand. Lorde is treating fans to free tickets and secret gift packages during her homecoming tour of New Zealand. The 'Royal' singer celebrated her 21st birthday on Tuesday (07.11.17) and she marked the happy occasion by giving a present to her fans in the form of tickets to her Dunedin concert and even a piece of personalised merchandise. She thinks people have a problem with seeing someone experiencing joy. Lorde has finally opened up about the criticism she received following her non-singing all-dancing performance at the 2017 MTV Video Music Awards last month. She thinks people were uncomfortable with the show because she looked like she was enjoying herself too much. The 20-year-old popstar has never exactly been known for being conventional, but she took her performance art a step further by doing a dance routine to her song 'Homemade Dynamite' at the MTV VMAs on August 27th rather than singing it live. She was struggling with the flu at the time, so the audience at The Forum in California were lucky she even made it out onto the stage. She had told The Guardian that being pals with TayTay was like being around someone with "very specific allergies". Lorde has apologised after comparing being friends with fellow pop star Taylor Swift as like being around someone with an autoimmune disease. The 20 year old New Zealand-born singer, who has just released her second album Melodrama, made the rather strange remark in a profile interview with The Guardian at the weekend. Quickly, she received a backlash from Swift’s fanbase who criticised her for the comments that Lorde now admits were “insensitive” – but she said that she hadn’t been addressing Swift directly. “It's like having a friend with very specific allergies,” she had told the British newspaper in an article published on Saturday (June 17th).